On 30th of October 2018 tomorrow, our Game Server will be down for the regular maintenance and patch like below. *EU Summer time has been finished last Sunday and now it's CST. 2. Hot issue banner changed with Halloween Event and New Character RU. 3. Other minor text errors will be fixed. 2. Tanky Dealer Event will be finished. 4. Altria 2nd "Pioneering War" Event will be finished. 5. Saint Alude Glass has been provided to all purchasers who bought Saint Alude Costume Total Package - added. According to the recent ticket request, we checked the high tier raid item drop rate with Dev but there was no change or problems at there. We will try to double-check the situation and will make more stable situation of raid and contents for GEEU Fans. New Update Version has been decided and will be 30.27.77, that is right before the Altria 2nd update, that is most stable and bug fixed version we think. Translation already started last week and almost 50% already done. The New version test server will be set tomorrow and we will start the version test intensively during weeks. Cool, but no new LB? can u guys release the honor teacher medal for rubi/joshua/kael. it was suppose to be release when you guys did the teacher costumes however they where never added. Are the Navas Wing and Purple Bat Wing permanent or timed? Can you extend Altria 2nd "Pioneering War" Event for a week? 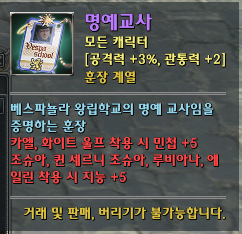 I came to GEEU just 9 days ago and it left me 9/10 daily quest. Which is very annoying to me. Please kindly to help because I want the rewards like what the others did. 9/10 Pioneering dailies at last day event? Ok that's annoying. .____. I hope they extend the event too. I need mats and not everyone can afk the whole night / day. Also please let the Evidence of Pioneering continue to drop and be exchangeable for a few more days because many people are having 5xx/600 and it is a pity to waste all those efforts. Please use a native English speaker to check your translations because things like "Possession of a prior family Obtaining" are too difficult to understand or even guess.